Whether you're a consultant or working in-house, being an organizational development professional is not easy. The need to empower change, deliver results, and manage multiple clients at once leaves precious little time to catch one’s breath, let alone much else. However, an inability to change leads to stagnant processes, which can result in slumping performance, less satisfied customers, and an opportunity for your competition to move ahead and gain a competitive advantage. 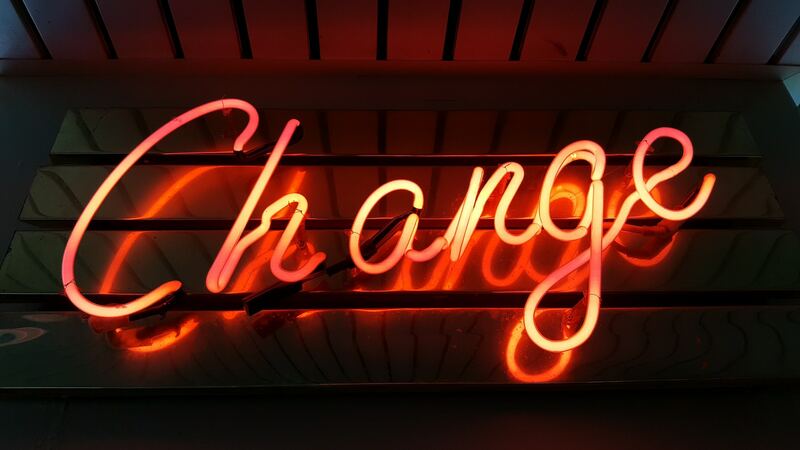 But we all know that change is one conscious decision away, so to help, here are six things change consultants need to start doing immediately to stay ahead of the game. Change is not only about the C-suite; it’s about the whole organization. No one can implement change by themselves or in a small group. It’s only when an entire organization is onboard and aligned than a change initiative will gather momentum. Your goal here is to transform every single person within an organization into an active change agent rather than a passive bystander. Collaboration is more effective than top-down implementation, and that requires building a culture of participation. To earn buy in you must help people understand why the change initiative exists. This means you need to justify change and explain why you're approaching it the way you're approaching it. An effective starting point is to establish the current state and envision the desired state together. Managers must ensure that their teams understand that change is good - people must understand how the future will be different from the past and that they will get there as a team. This is especially important in larger organizations where people might struggle to see the big picture. That's why it's your job to give them a bird's eye view of the current situation and help them envision the desired state. However, a change process will have multiple outcomes, so let people focus on the most important aspects for their departments, teams and themselves personally. That means people need to find out together how this change will affect their daily work and what it means in terms of their day-to-day life. Once they understand this people will be more likely to accept the change and start taking action to support the change process. In short, let everyone discover their own “why” behind the change. In order to involve the whole organization and let people discover their “why", you need excellent facilitation skills. Digital facilitation is an effective way to scale up your processes and level up your skill set. Whether it’s to support with virtual, face-to-face or asynchronous facilitation, it’s all about involving large groups, making collaboration more transparent, and overcoming the limitations of time and space. Facilitating change needs the right tools in order to be successful. We’ve listed some of the top change and facilitation tools for consultants, but an all-in-one platform like Howspace brings all the functionality of various tools under one roof. With a host of benefits that make it easier for you to facilitate change, over 1,000+ consultants, facilitators, and organizational development practitioners use Howspace to implement high-impact change initiatives. You can get started for free today. We wrote earlier about the importance of communicating the purpose and goal at the start of a change initiative to help everyone understand their “why”, but as a change initiative develops it’s vital to keep everyone up to date on progress. Change initiatives themselves are also subject to change, so give updates and provide ways for people to catch up if they miss something to make sure everyone’s on the same page. Communication is a not a one-way monologue but a two-way dialogue: get the right people to discuss the relevant topics regardless of organisations structures or geographical areas, capture the stories of the participants for others to read, hear and watch, and create local communities for people with shared perspectives, hopes, and fears. Throughout change initiatives it’s very easy to under-communicate but you can almost never over-communicate. It’s important to remember that the field of organizational change itself must continue to evolve, develop, and ultimately change. Markets, organizations, teams and individuals are in a constant state of change, so we can never stop developing our business, processes, and ways of working. And welcome new challenges that will develop, improve and ultimately change the way you work as a change consultant. Ready to take the next step in your change journey? The easiest way to do that is with Howspace, a digital facilitation platform built especially for consultants, facilitators, organizational development practitioners, and learning professionals. With a host of features to digitalize your processes, Howspace will help you deliver bigger change projects whilst involving all participants no matter where they’re located.